Pretty Link Pro is the easiest affiliate link tracking plugin and link cloaking tool for WordPress. I use it on every site to make links look, pretty, and to monitor how successful they are. With options for automatic link replacement and a cloaking bar, it's highly customisable! Creating affiliate links with Pretty Link Pro is so easy! It's very, very easy to shorten your links. You can nofollow links and even double redirect to remove referer info (which the geek in me loves!). You can create custom folders, like sitebeginner.com/loves/prettylinkpro. The plugin easily tracks clicks and hits on your affiliate links. The option to create custom groups to easily find and replace links later. 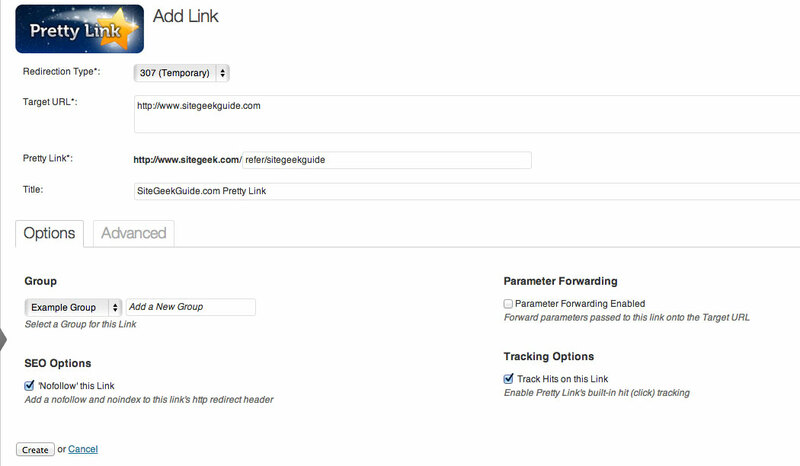 It can automatically replace keywords or URL's with your pretty links. Allow users to create pretty links (for portfolios, user profiles etc). A PrettyBar to cloak links and keep your branding when users follow an affiliate link. Automatically share Pretty Links on Twitter. 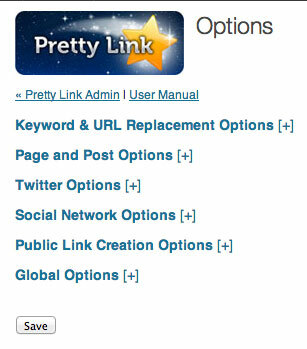 Once you've bought and downloaded Pretty Link Pro you just need to upload and install it to your WordPress site. Once it's activated we can go ahead and create an affiliate link in literally 1 minute. 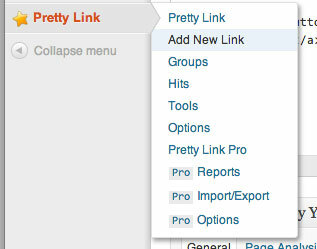 Hover over the Pretty Link menu in WordPress and click Add New Link. For me personally I've only ever used 307, Pretty Bar and Cloaked and for most bloggers and affiliate marketers this is all you'll need. In the advanced options you can double redirect your link through another URL to remove your referrer information. I've never had to do it, but some affiliates will love that feature. You can also rotate links and test different landing pages or offers on your affiliate links through the same Pretty Link. I use this feature a lot and it's a really easy way to split test offers. The plugin makes it really easy to track your link clicks and gives you information about what time the link was clicked, the IP of the visitor, and which link they clicked. The real power of this plugin though is in the Pro options. Exporting and importing links means you can move them easily to a new site or domain or just back them up in case anything happens to them. You've also got the Options panel which really transforms Pretty Link Pro from just a link shortener to a powerful affiliate link manager that will deliver results for you. There are so many options for this plugin that it really is beyond the scope my review. You really need to buy this plugin and use it to fully understand its power. Tip: I bought the Developer License so I can use it across all of sites and any clients I work with. I'd hate to only be able to use this plugin on one site!